Individual boxers, like dogs of any breed, or indeed people, have unique personalities, behaviors, and preferences. No breed description will describe all boxers or will even accurately and totally describe one. However, some traits do apply to many boxers. Boxers tend to be silly, playful dogs who act like puppies for much of their lives. They are clownish dogs who seem to take particular delight in making their human family laugh at their antics. However, their puppy-like behavior is not always a source of amusement for everyone. A bored, unoccupied boxer, or one who simply doesn’t know better, will find ways to entertain himself, often in ways that people find unacceptable. Boxers love to be with people – as much as possible and as close as possible. They are not an aloof or independent breed. Their social nature and their typically high energy level make them well-suited to joining in family activities. If your boxer needs to be home alone for many hours each day, he will likely need plenty of exercise and mental stimulation when you are home to keep him happy. Boxers cannot be left outside unattended without access to the indoors for any considerable length of time. Not only are they intolerant to heat and cold, but they also have been known to escape yards in an attempt to find their people. Boxers are family dogs in both their social nature and their physical needs. Boxers have a reputation for enjoying the company of children, and, indeed, many of them are quite tolerant around children. However, like all dogs, boxers should be carefully supervised where there are young children, since even well-meaning children often don’t understand how their attempts at friendliness or how their normal behavior may be perceived as frightening by a dog, and they often don’t realize when a dog is offering subtle cues of discomfort. Boxers are large and bouncy and are not always the best judges of their size and strength, so special care should be taken with an exuberant boxer around small children. Always keep in mind that rescue dogs often have unknown histories, so it is a good idea to take extra precautions with any rescue dog, including boxers, around young children. Many boxers enjoy playing with other dogs, but their rough style of play and method of approach may be off-putting. Many boxers are selective about which dogs they want to be around, so introductions to new dogs should generally be controlled. 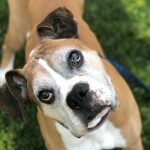 Although boxers are not typically an aggressive breed, their enthusiasm and forwardness can escalate into reactive behavior or can trigger undesired responses from other dogs who do not understand them. Boxers are strong, can be stubborn, and can pull hard on their leash if they want something! 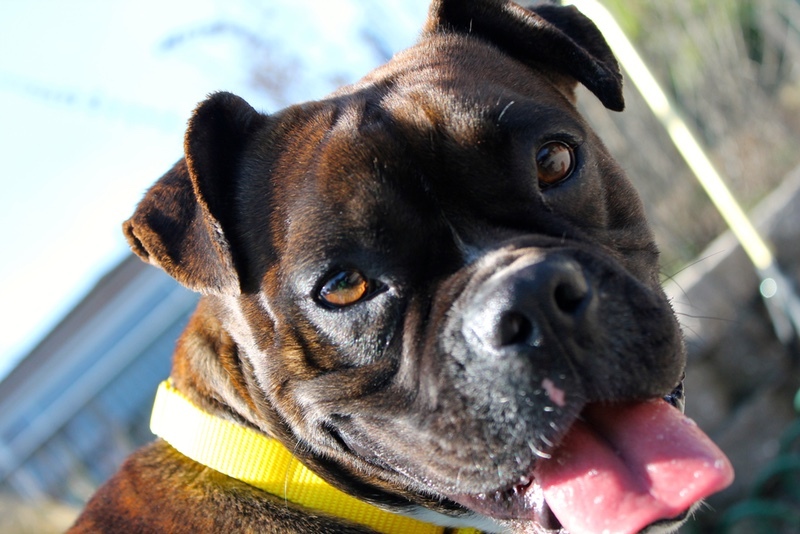 A boxer is a joyous, funny, athletic dog who loves nothing more than being part of the family. However, boxers are not for everyone. Boxers require special consideration when it comes to the amount of exercise and activity they need, their social nature, their limitations in warm or cold climates, and their often-expensive veterinary care. Most purebred dogs that end up in shelters find themselves there because their people did not like the things about them that were, in fact, typical of their breed. The same traits that make boxers so much fun for one person may make them challenging or frustrating for another. Do your research, and if possible, spend time with some boxers before deciding if the breed is right for you.